"Ibrahim" redirects here. For other views on Abraham, see Abraham. For other uses, see Ibrahim (disambiguation). 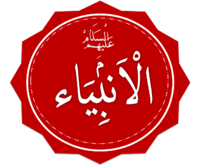 The name ʾIbrāhīm written in Islamic calligraphy followed by "peace be upon him". Abraham's grave in his Mosque in Hebron. Ibrahim (Arabic: إبراهيم‎, translit. 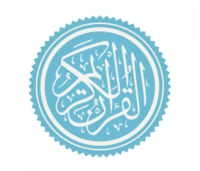 ʾIbrāhīm‎, pronounced [ʔɪbraːˈhiːm]), known as Abraham in the Hebrew Bible, is recognized as a prophet and messenger in Islam  of God. Abraham plays a prominent role as an example of faith in Judaism, Christianity, and Islam. In Muslim belief, Abraham fulfilled all the commandments and trials wherein God nurtured him throughout his lifetime. As a result of his unwavering faith in God, Abraham was promised by God to be a leader to all the nations of the world. The Quran extols Abraham as a model, an exemplar, obedient and not an idolator. In this sense, Abraham has been described as representing "primordial man in universal surrender to the Divine Reality before its fragmentation into religions separated from each other by differences in form". The Islamic holy day Eid al-Adha is celebrated in memory of the bravery of Abraham, and Muslims perform the pilgrimage to pay homage at the Kaaba, which they believe Abraham had set up and reformed. Muslims believe that the prophet Abraham became the leader of the righteous in his time and it was through him that the people of both the Arabian Peninsula and Israel came. Abraham, in the belief of Islam, was instrumental in cleansing the world of idolatry at the time. Paganism was cleared out by Abraham in both Arabia and Canaan. He spiritually purified both places as well as physically sanctifying the houses of worship. 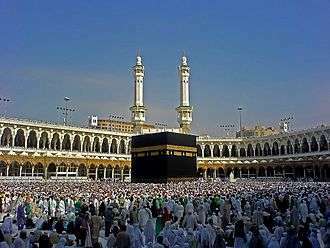 Abraham and Ismail (Ishmael) further established the rites of pilgrimage, or Hajj, which are still followed by Muslims today. Muslims maintain that Abraham further asked God to bless both the lines of his progeny, of Ismail (Ishmael) and Ishaq (Isaac), and to keep all of his descendants in the protection of God. They also believe that Muhammad is a descendant of Abraham through Ishmael. Muslims maintain that Abraham's father was Aazar (Arabic: آزر‎, translit. Āzar‎), which could be derived from the Syriac Athar, who is known in the Hebrew Bible as Terah. Other Muslims maintain that Azar was his paternal uncle. Commentators and scholars believed that Abraham himself had many children, but Ismail (Ishmael) and Ishaq (Isaac) were the only two who became prophets. Abraham's two wives are believed to have been Sarah and Hājar, the latter of whom was originally Sarah's handmaiden. Abraham's nephew is said to have been the messenger Lut (Lot), who was one of the other people who migrated with Abraham out of their community. Abraham himself is said to have been a descendant of Nuh through his son Shem. Abraham's personality and character is one of the most in-depth in the whole Quran, and Abraham is specifically mentioned as being a kind and compassionate man. Abraham's father is understood by Muslims to have been a wicked, ignorant and idolatrous man who ignored all of his son's advice. The relationship between Abraham and his father, who in the Quran is named Azar, is central to Abraham's story as Muslims understand it to establish a large part of Abraham's personality. The Quran mentions that Abraham's father threatened to stone his son to death if he did not cease in preaching to the people. Despite this, the Quran states that Abraham in his later years prayed to God to forgive the sins of all his descendants and his parents. Muslims have frequently cited Abraham's character as an example of how kind one must be towards people, and especially one's own parents. A similar example of Abraham's compassionate nature is demonstrated when Abraham began to pray for the people of Sodom and Gomorrah after hearing of God's plan through the angel Gabriel for them. Although the angel Gabriel told Abraham that God's plan was the final word, and therefore Abraham's prayers would be of no effect, the Quran nonetheless reinforces Abraham's kind nature through this particular event. Ibrahim was born in a house of idolaters in the ancient city of Ur in Chaldea (present-day Iraq). His father Azar was a well known idol sculptor that his people worshipped. As a young child, Ibrahim used to watch his father sculpting these idols from stones or wood. When his father was done with them, Ibrahim would ask his father why they could not move or respond to any request and then would mock them; therefore, his father always ground him for not following his ancestors's rituals and mocking their idols. Despite his opposition to idolatry, his father Azar would still send Ibrahim to sell his idols in the marketplace. Once there, Ibraham would call out to passersby, "Who’ll buy my idols? They won’t help you and they can’t hurt you! Who’ll buy my idols?" Then Ibrahim would mock the idols. He would take them to the river, push their faces into the water and command them, "Drink! Drink!" Once again, Ibrahim asked his father, "How can you worship what doesn’t see or hear or do you any good?" Azar replied, "Dare you deny the gods of our people? Get out of my sight!" Ibrahim replied, "May God forgive you. No more will I live with you and your idols." After this, Ibrahim left his father's home for good. During one of the many festivals that would take place in the city, the people would gather in their temple and place offerings of food before their idols. Ibrahim would ask them, "What are you worshipping? Do these idols hear when you call them? Can they help you or hurt you?" The people would reply, "It is the way of our forefathers." Ibrahim declared "I am sick of your gods! Truly I am their enemy." After several years, Ibrahim became a young man. He still could not believe that his people were worshipping the statues. He laughed whenever he saw them entering the temple, lowering their heads, silently offering the statues the best of their food, crying and asking forgiveness from them. He started feeling angry towards his people, who could not realize that these are only stones that could neither benefit nor harm them. The decision to have Ibrahim burned at the stake was affirmed by the temple priests and the king of Babylon, Nimrod. The news spread like fire in the kingdom and people were coming from all places to watch the execution. A huge pit was dug up and a large quantity of wood was piled up. Then the biggest fire people ever witnessed was lit. The flames were so high up in the sky that even the birds could not fly over it for fear of being burnt themselves. Ibrahim's hands and feet were chained, and he was put in a catapult, ready to be thrown in. During this time, Angel Jibreel came to him and said: "O Ibrahim! Is there anything you wish for?" Ibrahim could have asked to be saved from the fire or to be taken away, but Ibrahim replied, "Allah is sufficient for me, He is the best disposer of my affairs." The catapult was released and Ibrahim was thrown into the fire. Allah then gave an order to the fire, "O fire! Be coolness and safety for Ibrahim." A miracle occurred, the fire obeyed and burned only his chains. Ibrahim came out from it as if he was coming out from a garden, peaceful, his face illuminated and not a trace of smoke on his clothes. People watched in shock and exclaimed: "Amazing! Ibrahim's God has saved him from the fire!" According to the narrative, Nimrod became extremely arrogant due to his wealth and power, to the point that he made the claim that he possessed the power of creation. Claiming divinity for himself, Nimrod quarreled with Ibrahim but the Quran describes that he only deepened in confusion. According to Romano-Jewish historian Flavius Josephus, Nimrod was a man who set his will against that of God. Nimrod proclaimed himself as a living god and was worshipped as such by his subjects. Nimrod's consort Semiramis was also worshipped as a goddess at his side. (See also Ninus.) Before Abraham was born, a portent in the stars tells Nimrod and his astrologers of the impending birth of Abraham, who would put an end to idolatry. Nimrod therefore orders the killing of all newborn babies. However, Abraham's mother escapes into the fields and gives birth secretly. Abraham, in the eyes of many Muslims, also symbolized the highest moral values essential to any person. 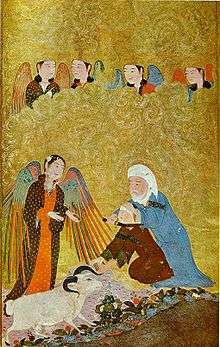 The Quran details the account of the angels coming to Abraham to tell him of the birth of Isaac. It says that, as soon as Abraham saw the messengers, he "hastened to entertain them with a roasted calf." This action has been interpreted by all the scholars as exemplary; many scholars have commentated upon this one action, saying that it symbolizes Abraham's exceedingly high moral level and thus is a model for how men should act in a similar situation. This incident has only further heightened the "compassionate" character of Abraham in Muslim theology. In the mainstream narrative, it is assumed that Abraham's dream of sacrificing his son was a command by God. The verse in reference i.e. (37:104-105) is in Surah As-Saffat and the quoted ayahs are translated by known Islamic scholar Abul A'la Maududi as "We cried out O' Ibraheem you have indeed fulfilled your dream. Thus do we award the good do-ers." On the other hand, in the mainstream narrative, it is assumed that Abraham dreamt God ordered him to sacrifice his son Ishmael, he agreed to follow God's command and perform the sacrifice, however, God intervened and informed him that his sacrifice had been accepted. Unlike the Bible, there is no mention in the Qur'an of an animal (ram) replacing the boy, rather he is replaced with a 'great sacrifice' (Zibhin azeem). Since the sacrifice of a ram cannot be greater than that of Abraham's son (and a prophet in Islam at that), this replacement seems to point to either the religious institutionalization of sacrifice itself, or to the future self-sacrifices of the Islamic prophet Muhammad and his companions (who were destined to emerge from the progeny of Ishmael) in the cause of their faith. From that day onwards, every Eid al-Adha once a year Muslims around the world slaughter an animal to commemorate Abraham's sacrifice and to remind themselves of self-abnegation in the way of Allah. This is called Qurbani ("sacrifice"). The Kaaba, which remains the most significant mosque in Islam, is believed to have been constructed by Abraham and Ishmael. One of Abraham's most important features in Islamic theology is his role as the constructor of the Kabba. Although tradition recounts that Adam constructed the original Kabba, which was demolished by the Great Flood at the time of Noah, Abraham is believed to have rebuilt it in its original form. The Quran, in the Muslim perspective, merely confirms or reinforces the laws of pilgrimage. The rites were instituted by Abraham and for all Muslims, as they perform the pilgrimage, the event is a way to return to the perfection of Abraham's faith. Just as Medina is referred to as the "City of the Prophet [Muhammad]" or simply the "City of Muhammad", Mecca is frequently cited as the "City of Abraham", because Abraham's reformation of the purified monotheistic faith took place purely in Mecca. The Quran refers to certain Scrolls of Abraham, which have alternatively been translated as the Books of Abraham. All Muslim scholars have generally agreed that no scrolls of Abraham survive, and therefore this is a reference to a lost body of scripture. The Scrolls of Abraham are understood by Muslims to refer to certain revelations Abraham received, which he would have then transmitted to writing. The exact contents of the revelation are not described in the Quran. Abraham's narrative in the Quran indirectly refers to his role as one of the great patriarchs. The Quran says that God made Abraham "an Imam to the Nations." and his narrative records him praying for his offspring. The Quran further states that Abraham's descendants were given "the Book and Wisdom,", and this fact is reinforced in a verse which states that Abraham's family was one of those in which the gift of prophecy was established as a generic trait. The Quran emphasizes upon Abraham's significance as it states that Abraham's family, Noah, Adam and the family of Amram were the four selected by God above all the worlds. As a result of his significance as a patriarch, Abraham is sometimes given the misleading title Father of the Prophets, which contradicts the teachings of the Quran, which establishes that many prophets, such as Noah, lived before Abraham. Of Abraham's immediate sons, the Quran repeatedly establishes the gifts God bestowed upon them. Ishmael, along with Elisha and Dhul-Kifl (possibly Ezekiel), is regarded as being "of the Company of the Good." and one of the men who was given "favour above the nations." In addition, Ishmael is described as being "true to what he promised, and he was a messenger (and) a prophet." Likewise, the Quran says of Isaac that he was "of the company of the Elect and the Good." and was a "a prophet,- one of the Righteous." and further describes him as "of Power and Vision." Abraham is commemorated by all Muslims. As is the case with every prophet and apostle, it is Islamic custom to say "Peace be upon him" after saying Abraham's name. Abraham's unique position as the constructor of the Kabba as well as the establisher of the pilgrimage rites is indirectly commemorated when Muslims perform the pilgrimage, or Hajj, in Mecca. Muslims sacrifice (Qurban) a domestic animal on Eid al-Adha, which is done in part to remember Abraham's bravery during his trial of the near-sacrifice of his son. Muslims further mention Abraham in their canonical prayer everyday, in which they ask God to bless Muhammad's family as He blessed Abraham's family. In the mosque at the Cave of the Patriarchs in Hebron, this grate allows visitors to look down into a shaft measuring 40 feet (12 metres), which leads to the ground level of the cave where Abraham and Sarah are buried. Some Muslims believe that Abraham was buried, along with his wife Sarah, at the Cave of the Patriarchs in Hebron. Known to Muslims as the Sanctuary of Abraham it is also thought to be the burial site of Isaac, his wife Rebecca and Jacob and his wife Leah. There are numerous references to Abraham in the Quran, including, twice, to the Scrolls of Abraham; in the latter passage, it is mentioned that Abraham "fulfilled his engagements?-", a reference to all the trials that Abraham had succeeded in. In a whole series of chapters, the Quran relates how Abraham preached to his community as a youth and how he specifically told his father, named Azar, to leave idol-worship and come to the worship of God. Some passages of the Quran, meanwhile, deal with the story of how God sent angels to Abraham with the announcement of the punishment to be imposed upon Lot's people in Sodom and Gomorrah. Other verses mention the near-sacrifice of Abraham's son, whose name is not given but is presumed to be Ishmael as the following verses mention the birth of Isaac. The Quran also repeatedly establishes Abraham's role as patriarch and mentions numerous important descendants who came through his lineage, including Isaac, Jacob and Ishmael. In the later chapters of the Quran, Abraham's role becomes yet more prominent. 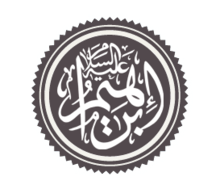 The Quran mentions that Abraham and Ishmael were the reformers who set up the Kabba in Mecca as a center of pilgrimage for monotheism The Quran consistently refers to Islam as "the Religion of Abraham" (millat Ibrahim) and Abraham is given a title as Hanif (The Pure, "true in Faith" or "upright man"). The Quran also mentions Abraham as one whom God took as a friend (Khalil), hence Abraham's title in Islam, Khalil-Allah (Friend of God). The term is considered by some to be a derivation of the patriarch's Hebrew title, Kal El (קל-אל), which means "voice of God". Other instances in the Quran which are described in a concise manner are the rescue of Abraham from the fire into which he was thrown by his people'; his pleading for his father; his quarrel with an unrighteous and powerful king and the miracle of the dead birds. ↑ "SURAH AL-ANAAM-6 Makkah. 20 Sections. 165 verses.Ayyah 74-81". alahazrat.net.